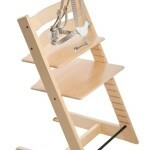 High Chair with a unique safety solution helps your toddler to sit comfortably in an upright position. 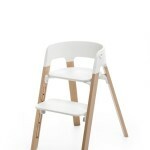 Kids Only Furniture has various styles and types of highchairs, whichincludethe Steps Chair and Tripp Trapp Chair. Chair legs are made of sturdy European beech wood, which is a solid, natural material and consequently has a rich surface with a natural structure, pattern variation, and color combinations. Our baby furniture is designed to fit right up to your dining table, bringing your baby into the heart of your family, allowing him or her to learn and grow alongside you. All our baby furnitureis made from solid wood and are non-toxic.